Yukihiro Shoyama worked in MGH in Boston as a Post-doc in 1975. 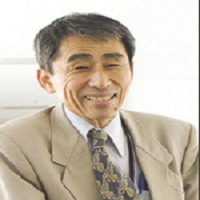 During 1978 to 1991, he worked as an Associate Professor and as a Full Professor during 1991 to 2007 in Kyushu University. During these periods he was the Director of Pharmacognosy Department, the Director of Herbal Garden, and held Deanship (2004-2006). He moved to Faculty of Pharmaceutical Sciences, Nagasaki International University as a Full Professor from 2007. 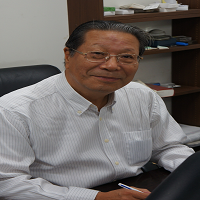 He was the President of Japanese Society of Pharmacognosy (2007-2008) and Vice Chairperson of Specialty Committee of Traditional Chinese Medicine, Pharmaceutical Chemistry of World Federation of Chinese Medicine Societies (2012-2020). His research interests are marijuana studies like structure elucidation of biosynthetic enzyme protein by x-ray analysis, monoclonal antibodies against over 40 natural bioactive products, biotechnology of medicinal plants and bioactive natural products like saffron resulting in approximately 400 original papers and over 200 review articles. Licorice is one of the most important natural products from time immemorial and until now since it has various pharmacological activities depending on five hundred or more constituents. Among them glycyrrhizin is the most popular active compound having many pharmacological activities and developed as a medicine for liver diseases and allergy in Japan. Therefore, we first prepared monoclonal antibodies against glycyrrhizin with a major flavonoid, liquiritin and set up the ELISA system for qualitative and/or quantitative analysis, and developed a new immunostaining system, eastern blotting. Under the survey of active components in licorice using immuno-chemical assay system developed, we found that the licorice extract can accelerate the in vitro fertilization of mice. The ethyl acetate fraction from the crude extract indicated most active resulting in the isolation and identification of two active components, hormononetin and isoliquiritigenin. We confirmed that the addition of them in the medium promoted the in vitro fertilization resulting in birth, and that the active components were incorporated into the sperm activating the sperm movement. The active mechanism will be also discussed in this congress. Automated synthesis and flow chemistry have attracted a great deal of attention in recent years because these processes improve both the reproducibility and reliability of synthesis. Development of automated synthetic procedures and storage of relevant digital data allow anyone to reproduce the same results anytime and anywhere using the same apparatus and reagents. As a result, synthetic chemists can spend more time on advanced and challenging problems. Automated synthesis and flow chemistry often enhance the safety profile of the synthetic processes. Flow chemistry is effective for the hazardous reactions using toxic reagents or high pressure gases. Here in, we report the automated synthesis of taxol, enediyne, lewisx and ketopiperazine analogues and the flow synthesis of peptides and aliphatic aldehydes. Jee H Jung has his expertise in isolation, structure elucidation, and biological evaluation of new compounds from marine organisms. In recent years, his research was focused on the study of bioactive compounds from marine invertebrate-derived microorganisms. 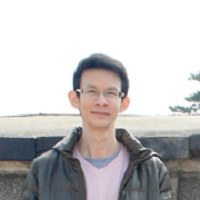 Further studies on optimization of lead compounds by docking simulation-based analogue synthesis and enhancement of bioavailability by nanoparticle formulation are also his major research interests. Previously, we isolated a new compound paecilocin A as a PPAR-? binding molecule from the jellyfish-derived fungus Paecilomyces variotii. Based on the molecular framework of paecilocin A, a series of phthalimide analogues were synthesized and evaluated for PPAR-? binding activity. In a subsequent screening for competitive binding activity, 4-hydroxy-2-(4-hydroxyphenethyl) isoindoline- 1,3-dione (PD1) showed good PPAR-? agonistic activity. Since one of the functions of PPAR-? is suppression of inflammatory responses, the present study aimed to investigate anti-inflammatory activity of PD1. Transcriptions of mRNA were determined by reverse transcriptase-PCR. Inflammatory protein expressions were determined by ELISA and Western blot method. In Lipopolysaccharide (LPS)-stimulated murine macrophage RAW264.7 cells, PD1 suppressed the induction of pro-inflammatory factors including inducible Nitric Oxide Synthase (iNOS), Nitric Oxide (NO), Cyclooxygenase 2 (COX-2), Tumor Necrosis Factor ? (TNF-? ), interleukine 1? (IL-1? ), and interleukine 6 (IL-6) in both mRNA level and protein level. In parallel, PD1 enhanced expression of anti-inflammatory factors such as arginase-1 and interleukine 10 (IL-10). PD1 simultaneously suppressed LPS-evoked Nuclear Factor kappa B (NF-?B) p65 subunit phosphorylation in macrophages. The anti-inflammatory mechanism of PD1 is proposed to be via inhibition of NF-?B pathway. In subsequent in vivo animal experiment employing carrageenan-induced acute inflammatory paw edema model, PD1 showed significant reduction in paw swelling. Histological analysis of tissue sections revealed reduction of cellular infiltration of immune cells in PD1-treated groups. These findings suggest that PD1 may serve as an anti-inflammatory lead. Euphorbia tithymaloides L. is native plant growing in tropical and subtropical areas of Asian countries. It has been known as traditional medicine with a wide range of healing properties such as anti-oxidant, anti-inflammatory, anti-hemorrhage, antidiabetic, antibiotic, and anti-tumoral. It contains some bio-active compounds such as beta-sitosterol, cycloartenone, octacosanol, oxime, etc. In earlier in-vitro study, octacosanol has reduced the expression of mRNA or protein of pro-inflammatory cytokines. This study is aimed to evaluate the anti-inflammatory activity of Euphorbia tithymaloides L. ethanol extract (ETE) in RAW264.7 macrophages. Anti-inflammatory activity was studied by treating RAW264.7 murine macrophages cells with increasing concentration of the ETE extract (50, 100, 200, and 400 ?g/ml). Lipopolysaccharide (LPS) was used to activate the cells. CCK-8 assay and Griess reagent were used to examine the cell viability and Nitric Oxide (NO) production, respectively. The result shows increasing concentration by 200 ?g/ml increases cell proliferation then declines. On the other hand, Nitric Oxide (NO) production decreases with the increase of concentration of the extract. Reverse Transcriptase-Polymerase Chain Reaction (RT-PCR) was used to measure the mRNA expression of pro-inflammatory cytokines. Western blotting was also done to examine the effect of ETE extract on the protein expression of RAW264.7 murine macrophages cells. It has been shown that increasing concentration decreased the mRNA expression of IL-6, iNOS, COX-2, TNF ?, IFN ?and NF-kB, as well as protein expression. In conclusion, the results support the empirical use of Euphorbia tithymaloides L. ethanol extract as an anti-inflammatory medicine. Rizki Fitriani has completed her Master’s degree in Natural Products Chemistry from Bandung Institute of Technology. She is currently a Doctoral Candidate at the same university. Her research interests focus on natural products isolation and their structural characterization, as well as bioassay on the isolated pure compounds. Morus is one genus of plants belonging to Moraceae family that has important economic and medicinal value. The leaves of some Morus plants are indispensable food for silkworm, while their root bark has been used for treatment of diabetes, arthritis, and rheumatism. Previous phytochemical investigation showed that this genus produces a variety of phenolic compounds including stilbenes, 2-arylbenzofurans, flavonoids, and Diels-Alder adducts. Diels-Alder type adducts are the unique ones due to their complex and fascinating structures. Some of these compounds showed important and various bioactivities, such as cytotoxicity, antioxidant, antimicrobial, anti-inflammatory, and antiviral. The source of biologically important secondary metabolites was obtained conventionally from the intact plants. However, recent development in plant biotechnological approach has shown the possibility of plant tissue cultures as an alternative source for producing bioactive secondary metabolites. Therefore, the isolation and characterization of secondary metabolites from Morus alba var. shalun root cultures were implemented in this research. Three new Diels-Alder type adducts (1-3) together with two known Diels-Alder type adducts (4-5) were isolated from the EtOAc extract of liquid medium and MeOH extract of Morus alba var. shalun root cultures. The structures of the isolated compounds were elucidated based on a comprehensive analysis of spectroscopic data, including 1D, 2D, and MS data. Compound 1-5 exhibited significant cytotoxicity against murine leukemia P-388 cells with IC50 values 0.7, 0.7, 2.0, 1.7, and 0.6 ?g/mL respectively. These results demonstrate the potency of compound 1-5 as the lead compounds for anticancer agent. Wen Tan is a Professor and Dean at Institute of Biomedical and Pharmaceutical Sciences, Guangdong University of Technology, Guangzhou, China. He has his expertise in “Thousand Talents” plan in China (2012). Professor Tan earned his medical degree at HB Medical School in China and earned his PhD. from University of Nebraska Medical Center in USA. After post-doc trainings at Harvard Medical School, he joined Howard Hughes Institute& Columbia University in USA as an associate research scientist and research assistant professor. In late of the nineties, he returned to China as a founder of a pharmaceutical research company which has successfully registered more than ten generic & innovative drugs for China market since. Cardiac ischemia or hypertrophy involves multiple mechanisms and may lead to heart failure. Few medicines are now available for effective treatment. STVNa, derived from Stevia, has been shown beneficial effects in protection of acute cardiac ischemia. Our recent studies demonstrated that in animals with chronically coronary occlusion, consecutive oral treatment of STVNa significantly ameliorated the deterioration of cardiac function with reduced area of infarction and apoptosis. Long-term treatment of STVNa in Transverse Aortic Constriction (TAC) rats also protected the heart from fibrosis and hypertrophy remodeling and improved both cardiac systolic and diastolic function. In isoproterenol treated ventricular myocytes, STVNa reduced hypertrophy, inhibited the increases in cytosol calcium or ROS, and preserved contractility and mitochondrial membrane potential. Proteomic analysis, cell biochemistry and electrophysiological studies indicated that STVNa protected the heart against fibrosis and remodeling of metabolite and electrophysiology during ischemia and/or reperfusion injury or hypertrophy. Dnyanesh Limaye is currently working as a Faculty III at Hochschule Hannover Germany. He is a fellow of Information and Design from University of Applied Sciences and Arts, Hannover, Germany. He has his expertise in Self-medication practices among university students from Karachi, Pakistan. Introduction: Self-medication, practiced globally is an important public health problem. Research studies have indicated inappropriate self-medication results in adverse drug reactions, disease masking, antibiotic resistance and wastage of healthcare resources. Objectives: The objective of the study is to explore overall self-medication and antibiotic self-medication prevalence among students of university students in Karachi, Pakistan along with probable reasons, indications, and sources of advice for self-medication. Methods: A descriptive, cross-sectional, questionnaire-based study was carried out among students from University of Karachi, Pakistan during the time period of September to November 2016. Pretested questionnaire was distributed to 320 students and the collected data was analyzed using IBM SPSS version 24. Results: From 320 students, 311 (83 male and 228 female) students participated in the study giving a response rate of 97%. Prevalence of self-medication was 66%. Belonging to higher monthly family income group was associated with likelihood of self-medication. Antibiotic self-medication prevalence was 39%. Lack of time (39%), and old prescription (35%) were the main reasons for selfmedication. Pharmacy shop (75%) was the main source for self-medication. In case of antibiotics, 44% students changed the dosage of antibiotic and 50% students stopped antibiotics after the disappearance of the symptoms. Conclusion: Antibiotic self-medication (39%) and self-medication with other drugs among university students of Karachi is a worrisome problem. Our findings highlight the need for planning interventions to promote the judicious use of general medicines as well as that of antibiotics. Statement of the Problem: Lycopodium alkaloids are quinolizine, pyridine and pyridone alkaloids isolated from club mosses (Lycopodiaceae). The most notable alkaloid from this group is huperzine A, which is a potent reversible Acetylcholinesterase (AChE) inhibitor. Studies on Lycopodium alkaloids from club mosses in Southeast Asia are deficient. This work aimed to phytochemically investigate club mosses native to Thailand and the Philippines. Methodology: Whole plants of H. squarrosa collected from Thailand and the Philippines were extracted with methanol. The methanolic extracts were subjected to acid-base extraction. The obtained alkaloidal fractions were further purified through column chromatography. Findings: H. squarrosa from Thailand yielded four alkaloids. Two known Lycopodium alkaloids were identified to be huperzine A (1) and 12-epilycodoline N-oxide (4). Squarrosine A (2) was a new fawcettimine-type Lycopodium alkaloid which possessed intramolecular hydrogen bonding. (R)-2-piperidineacetic acid (5) has never been reportedly isolated. This alkaloid was speculated to derive from precursors of Lycopodium alkaloids. From Philippine H. squarrosa, huperzine A (1) and pyrrolhuperzine A (3), a new lycodine-related Lycopodium alkaloid bearing a rare pyrrole moiety, were isolated. Semi-synthetic approaches to pyrrolhuperzine A (3) were achieved to confirm its structure elucidation, and two plausible biogenetic pathways from huperzine A (1) to pyrrolhuperzine A (3) were proposed. Furthermore, huperzine A (1) was chemically transformed into three amide derivatives (6-8). The newly isolated and semi-synthetic alkaloids were assayed for their anti-AChE activities. Huperzine A derivatives 6 and 7 exhibited strong AChE inhibition. We confirmed that crocin prevented N-SMase activation, ceramide production and JNK phosphorylation. Exploration of the crocin’s preventive mechanism in oxidative stress-induced cell death revealed that the activities of GSH reductase. These results strongly support the importance of the proposed GSH-dependent inhibitory mechanism in oxidative stress-mediated cell death. The effects of saffron extract and crocin on improving ethanol-induced impairment of learning behaviors of mice in passive avoidance tasks has been reported. Based on these results, it became evident that saffron extract and crocin prevent the inhibitory effect of ethanol on Long-Term Potentiation (LTP) in the denatate gyrus in vivo. We examined the sleep-promoting activity of crocin by monitoring the locomotor activity and electroencephalogram after administration of crocin to mice. Crocin (30 and 100 mg/kg) increased the total time of non-REM sleep by 60 and 170%, respectively, during a 4-h period from 20:00 to 24:00 after its intraperitoneal administration at a lights-off time on 20:00. Furthermore, the anti-cancer activities against colon cancer cell lines, skin and colon cancers in mice are also discussed. 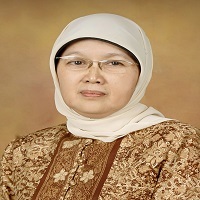 Euis H Hakim received a Bachelor’s degree in Chemistry from Institut Teknologi Bandung (1980) and she joined the Natural Product research group of Professor Sjamsul Arifin Achmad at ITB. She received Master’s degree (1989) and a PhD (1994) from the same university. She got a Research Fellowship at the University of Tokyo (1988), DSIR, New Zealand (1991), University of Western Australia (1992), and Post-doctoral research with Prof. Shigeo Iwasaki, the University of Tokyo (1996) and with Prof. Takeya at Tokyo University of Pharmacy & Life Science (2000). She is promoted to the position of Associate Professor in 2000 and as Full Professor in 2004. About 30,000 species of plants are distributed in Indonesia and 940 species among these had been used for health care, even though only 120 species of which are involved in Indonesian natural medicines. Over the centuries, the use of medicinal plants has become an important part of daily life despite the progress in modern medical and pharmaceutical research. In connection with our continuing studies on Indonesian tropical plant, a phytochemical investigation of several families of plant has been undertaken in our laboratory, including Lauraceae, Dipterocarpaceae and Moraceae. From Lauracea family of plant, we isolated benzylisoquinoline alkaloid, 2-pyrone and lignan derivatives, while Dipterocarpaceae mostly contains stilbene oligomers. The Moraceae which is known as mulberry family comprising about 40 genera and over 1,000 species spread out in tropical and subtropical regions including Indonesia. Morus, Artocarpus and Ficus are the most important genera belonging to Moraceae family; these genera economically are valuable because of the quality of its timber and produce edible fruit. The leaves of Morus are very popular for feeding of silk worm (Bombix mori). Most of these species are used in traditional medicine in many places and well known as “sohakuhi” in Japan and “sangbaipi” in China. All parts of plant tissues of Morus alba species are reported to be used in folk medicine (leaf for hypertension, root bark for asthma, fruit for anemia and branch for arthritis). Chemical evaluation of Artocarpus showed mainly prenylated flavonoid with variety of modified skeleton which involved pyrano-, oxepino- and xanthone- rings. And phenolic compounds isolated from Morus mostly stilbenoid and arylbenzofurane derivatives in addition to flavonoid and Diels-Alder type adducts, have exhibited an interesting biological activity including anti-tumor activity. Development of root culture of M. macroura yielded mostly Diels-Alder type adduct compounds such as Chalcomoracin and Kuwanon J, while shoots culture of this species produce a prenylated chalcones namely morachalcone and isobavachalcone which are identified as dienophile founded in Diels-Alder type adduct of Morus. The root culture of M. cathayana afforded O-methylated Diels-Alder adduct compounds which were secreted to the media. Further investigation of enzyme which is responsible for the Diels-alder adducts production of Morus plant showed a promising data for combinatorial biosynthesis study. And recently we tried to explore endophyte microbe of Morus, from which some strains of fungi containing highly potential cytotoxic cytochalasins and few compounds of epiquinophomopsin derivatives were identified. Xiao-Ling Shen PhD is a Professor at the Laboratory of Herbal Drug Discovery, Tropical Medicine Institute, Guangzhou University of Chinese Medicine. Her research focus is Chinese herbal medicines with anti-obese, anti-diabetic or anti-tumor efficacy. Prevention of obesity and related lipid metabolic disorder is an important strategy in treatment and prevention of metabolic diseases such as diabetes, hyperlipidemia and hypertension. Cajanolic Acid A (CAA) is a stilbene isolated from the leaves of Cajanus cajan (L.) Mills. exhibiting PTP1B inhibitory activity in our previous screening. Activity of CAA on lipogenesis and lipolysis was also investigated. In our study, CAA inhibited the differentiation of 3T3-L1 preadipocyte into mature adipocyte, at the same time it inhibited TG accumulation within mature 3T3-L1 adiocyte and reduced the release of glycerol and Free Fatty Acids (FFA) by the cell. Further study revealed that CAA inhibits adipocyte differentiation and TG synthesis via down regulation of PPAR? and C/EBP? which are key transcriptional factors in adipocyte differentiation, and other adipogenic genes (ACC, FAS, LPL, etc. ), and inhibits mature adipocyte to release glycerol and FFA by down-regulating genes related to lipolysis (HSL and ATGL), and up-regulating genes (ACOX & CPT-1) crucial to fatty acid oxidation. Ability of CAA to regulate lipid metabolism was confirmed in Zucker fatty rats, treatment with CAA achieved dose-dependent reduction in serum levels of TC and inhibition in increase of serum TG. In T2DM SD rats with hyperlipidemia, CAA not only inhibited the increase in blood glucose, but also significantly reduced the serum levels of TG, TC and LDL-C, and showed protective effect on organ damage brought by hyperglycemia and hyperlipidemia. In summary, CAA improved lipid metabolism both in vitro and in vivo, showing potential in treatment of hyperlipidemia. Manashi Garg is a professor of Biotechnology & Biochemistry at Assam Downtown University, India. Her research focus in vitro antibacterial activity of biosynthesized silver nanoparticles from ethyl acetate extract of Hydrocotyle Sibthorpioides against multidrug resistant microbes. North-East region of India is rich in production of colored and scented rice, a hulled grain with a distinctive red or purple color in addition to light grey on its bran. Of all the colored rice, especially black rice has long been consumed and is considered as a healthy food in Korea. Although, the colored rice is hard in its cooking texture, they possess beneficial effects of colored pigment, the naturally occurring colored substances like anthocyanin that belongs to flavanoids family which is reported to combat against the damaging effect of toxic free radicals and has great pharmacological property. Equally interesting is this food for the elimination of a series of other problems including obesity, edema, hypertension, diseases of kidneys and diabetes by releasing glucose in a fairly moderate way. The presence of oryzanol in the whole rice also ensures its affectivity in reducing cholesterol level (LDL) in blood. With its potent bio-active compounds such as phenolic compounds, tannins, lignin, oryzanol, tocotrienols, tocopherols, phenyl propanoids, and flavonoids, the colored rice(s) are responsible for counteracting wide range of illnesses. 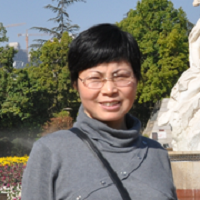 Zhao Qu is a post-doctoral fellow at Guangzhou University of Chinese Medicine, China. She is expertise in natural products and medicinal chemistry. Microglia plays an important role in the neurodegenerative diseases in the central nervous system. Over activated microglia also leads to the production of excessive inflammatory molecules and deleterious consequences, including neuronal death. 7-methoxyflavanone (MF), one of the nature flavone extracted in Ixeridium gracile, has been shown to inhibit the cytochrome P450 aromatase and the MAO-B. However, its function and the underlying mechanisms in neuroinflammation responses in microglia remain poorly understood. In this study, we investigated MF inhibited expression of COX-2 and inflammation mediators ICAM- 1 and MCP-1 in Lipopolysaccharide (LPS)-stimulated BV-2 microglia. MF also reduced the production of pro-inflammatory cytokines (TNF-? and IL-6) induced by LPS. Furthermore, investigation of the molecular mechanism indicated that MF inhibited the phosphorylation of ERK and JNK at a lower concentration than that for p38 MAPK. Further experiments revealed that MF treatment considerably increased the activation of Nrf2 and the expression of its target genes, including HO-1 and NQO1. MF also induced phosphorylation of AMPK/LKB in microglia. Interestingly, we found that MF inhibits TLR4/MyD88 signaling by interfering with LPS and TLR4 interactions. Therefore, MF might be useful as a therapeutic agent for the treatment of neuroinflammation-associated disorders such as Alzheimer's disease and Parkinson's disease. Plants from Artemisia L. genus belonging to Asteraceae Dumort. family are one of the main sources of sesquiterpene lactones. Ninety species of wormwood grow in the territory of Kazakhstan, 20 of which are endemic and considered as potential sources of novel, previously unexplored natural compounds, especially sesquiterpene lactones. We have carried out the chemical analysis of 11 endemic plant species from Artemisia L. genus for the first time, they are as follows: Artemisia aralensis Krasch., Artemisia cina Berg., Artemisia filatovii A. Kuprijanov sp. nova, Artemisia glabella Kar. et Kir., Artemisia halophila Krasch., Artemisia hippolyti Butkov, Artemisia karatavica Krasch. et Abol., Artemisia radicans A. Kuprijanov sp. nova, Artemisia saissanica (Krasch.) Filat., Artemisia semiarida (Krasch. et Lavr.) Filat., Artemisia succulenta Ldb. Fl. Alt. From 11 endemic species of Artemisia L. 25 sesquiterpene lactones were determined. In doing so, 7 new sesquiterpene lactones were isolated, and the structures of their molecules elucidated by means of modern physical, chemical and spectral methods (IR-, PMR-, 13? NMR, mass-), including X-ray analysis.